Britain's first substantial hydrogen fuel station was constructed in Birmingham, on the campus of the city's university. The station will provide fuel for the University's fleet of 100+ hydrogen powered vehicles. The technology for many of the vehicles comes from the local car industry in the midlands . Hydrogen stations are in the pipeline for London, and it is expected that all the city's buses may be fueled by hydrogen. The consumer market is also likely to drive the demand for hydrogen as a new wave of production hydrogen cars go on sale. BMW and Honda, have led the way and already offer hydrogen cars for sale. And its not just cars! 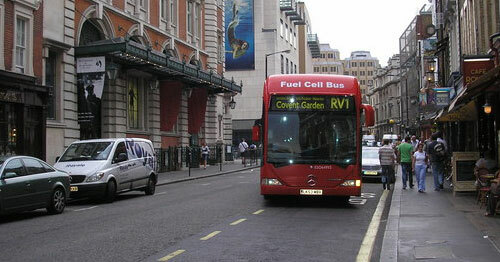 A London theatre recently installed a small hydrogen fuel cell to power its lights.